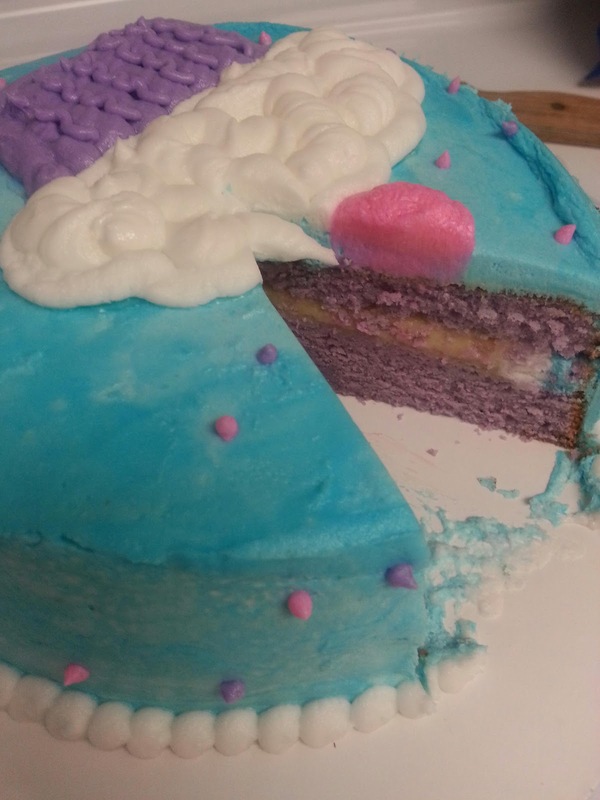 Yeay for mommy time, today was the second class of the wilton basic cake decorating course. 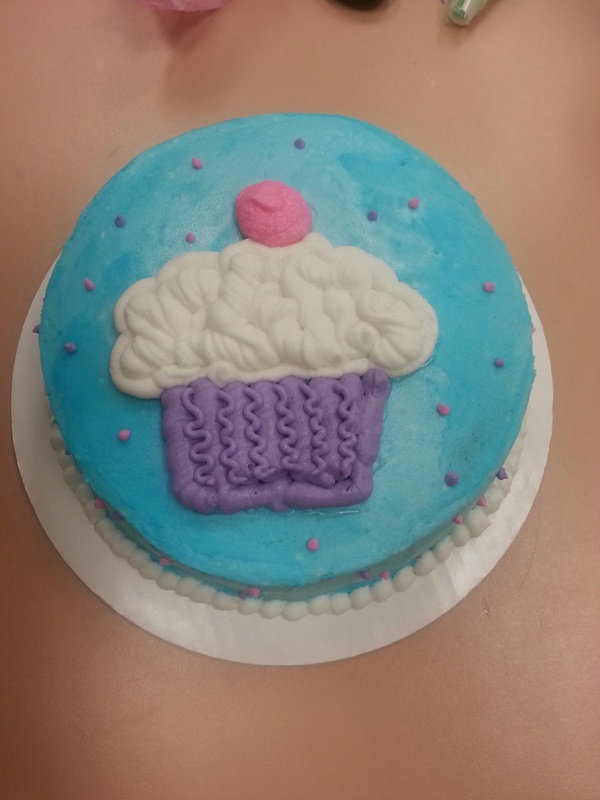 We had to bring to class a cake iced with filling in the middle and a few colors of medium thick frosting. Before this cake I had never made a cake from scratch! 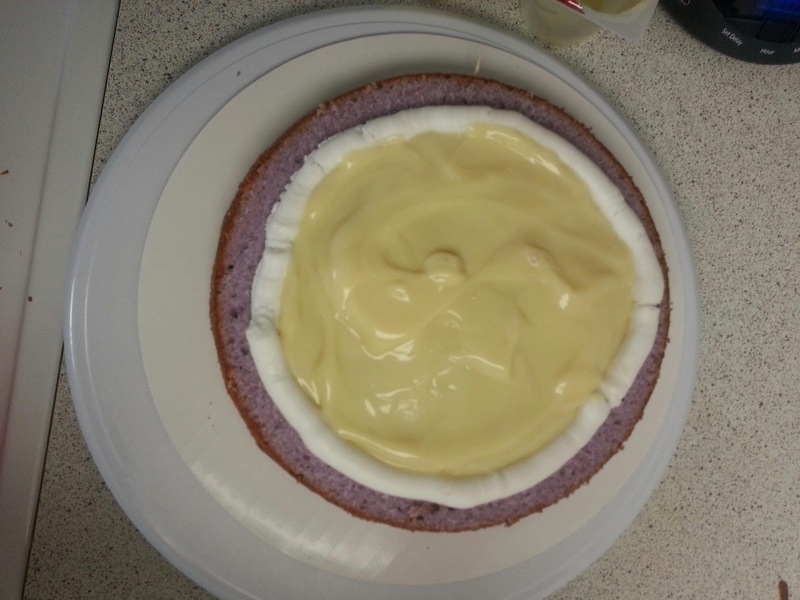 Origonally I was going to make a really tall cake and baked two cakes to stack on each other.... but I discovered after making my first cake you really need to follow the directions of when you add things.. its not throwing everything into the bowl and mixing it hahah. 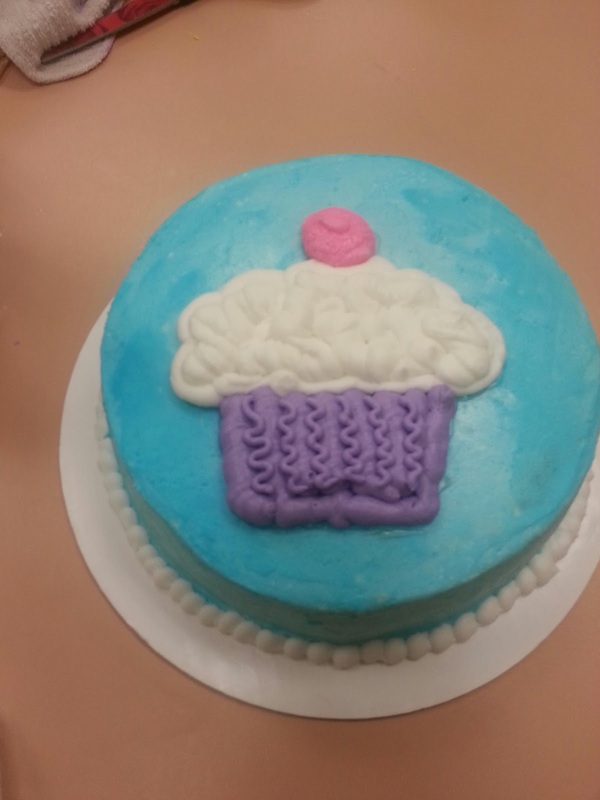 We used wax paper and pipping gel to transfer a cupcake picture onto the cake. I can already see me using this technique.. it would be so easy to transfer a picture of dora onto a cake. Next week we are filling and decorating cup cakes!